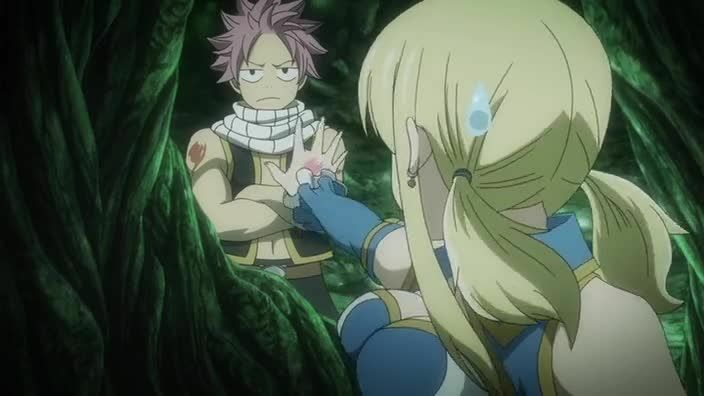 You are going to Watch Fairy Tail Episode 180 English dubbed online free episodes with HQ / high quality. Stream Anime Fairy Tail Episode 180 Online English dub The Hungry Wolf Knights. In a flashback, it is revealed that Minerva saved Lector from Ziemma’s attack and is holding the Exceed hostage to motivate Sting in the games. Meanwhile, Natsu’s team finds a seriously injured Arcadios within the Palace of Hades. They are assaulted by the Hungry Wolf Knights, a five-man squadron of executioners loyal to the kingdom. Natsu and Wendy team up to battle the executioners Kamika, who uses paper magic, and Cosmos, who controls magic plants.